We are Theresa and Mario we love to photograph!  Another passion of us is travelling - so we capture beautiful Zaubermomente (=magic moments) all around the world and share them with you on our Blog or our Facebook sites (Weddings & Couples, Dogs & Horses). The best thing about these two passions is that they fit together perfectly - we can get to know wonderful people all around the world and take photos of them. We already had the plessure to photograph couples on the greek island Santorini, an Engagement at Lake Como in Italy and at many other great places in Austria and Germany. Of course we also come back to our home cities Nuremberg and Graz and photograph there a lot of weddings and other stories, too. We both are sharing our passion to photography since quite a while and we love it to meet you and capture magic moments with you together. It is everytime nice to see how our clients are overwhelmed with the results of the photoshootings and how they are lucky to remember special moments and feelings with these pictures. Our philosophy is not to put our clients in poses but to keep the moment how it happens - very natural and not posed. Inspired by film photography, we developed our timeless, elegant and kind of Vintage style. Still we are photographing with an old Minolta from Mario's Grandpa and an even older Zeiss of Mario's Grand-Grandpa, which have now come to new honours. With much love to every little detail and a feeling for the right moment, we keep special memories. We are already looking forward to your request and are hoping to meet you soon in person, too. Our style we would describe as natural and un-posed. Our favourite is to photograph emotions out of a moment. When it comes to wedding photography we lovethe spontaneous wedding reportage style and capture everything with a good view for details and special moments from Getting Ready until the Party. We photograph with natural light as much as possible, at open aperture and with high quality fixed focal lengths. A big desire of us is analogue photography - inspired by it and films like Kodak Portra 400 or Fuji Pro 400 H we edit our images in a timeless but contemporary filmlook. The results are light, airy and romantic pictures with soft and pastell colors. We love Vintage and Boho inspired weddings but also other themes, like a classy 20ies Great Gatsby wedding, to beach weddings or really classic weddings, we love to photograph. We want to ensure to not 'over edit' the immages as we do not want to follow a trend, but we would like to reach that you are still in love with your wedding photos in 100 years! Where do you come from and where are we able to book you as our (wedding) photographer? Theresa is from Nuremberg, Germany and Mario from Graz, Austria - you can book us in both cities as your (wedding) photographers! Let it be around Nuremberg, Fürth, Erlangen, Roth, Schwabach, Bamberg or somewhere else in Franconia, Bavaria or in Graz, the wine area or other spots in Styria - here we are available for you (almost) everytime as photographers for animal photoshootings, couple sessions or even for your wedding reportage. And like we saif, we are often around the world and photograph weddings in the Alps in Salzburg in Austria to the north sea and Santorini - do not hesitate to contact us for your destination wedding or elopement.